The only restaurant on the park’s grounds introduced the tea-and-popovers tradition to MDI more than 100 years ago. Ask for a lawn table, with views of surrounding perennial gardens, Jordan Pond, and the Bubbles. Park Loop Rd., near Seal Harbor. 207-276-3316. A lovely sidewalk café and seasonal fundraising arm of Common Good Soup Kitchen Community, which delivers healthful meals to needy islanders year-round. 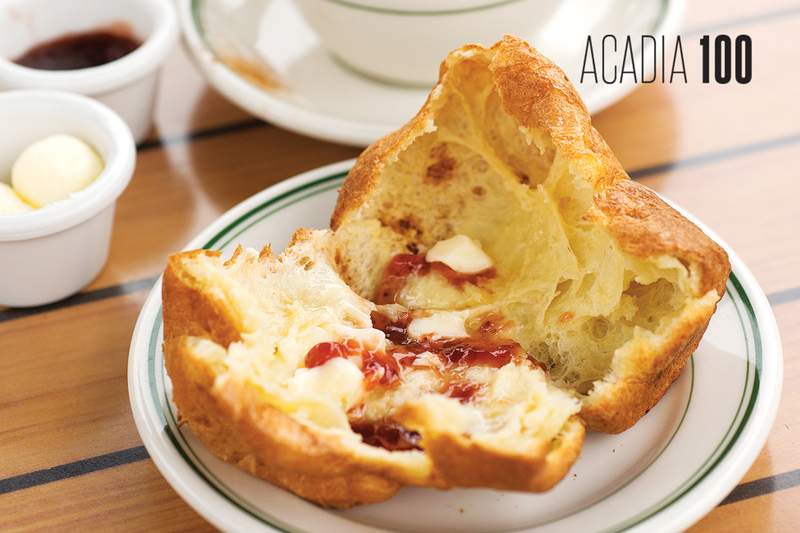 Popovers with butter and jam are all-you-can-eat for a voluntary donation. On Sundays, the Common Good ukulele band performs. 19 Clark Point Rd., Southwest Harbor. 207-266-2733. The menu added popovers last year, but this elegant inn already had popover cred: it’s managed by the Acadia Corporation, which operated Jordan Pond House — and baked its legendary popovers — for decades. Savor a few on the covered porch while yachts come and go in Northeast Harbor. 15 Peabody Dr., Northeast Harbor. 207-276-3344. Common Good co-founder Larry Stettner mastered popovers at home, where he sometimes makes them for dinner guests. A few years ago, when the soup kitchen was desperate for money, Stettner added them to the café’s brunches. They’ve been key to the organization’s fundraising ever since. His recipe, perfected through trial and error, makes 6 popovers. Preheat oven to 450 degrees. Mix flour and salt in a bowl, preferably with a lip for pouring. Stir in milk. Beat eggs in a glass measuring cup, then stir into flour mixture. Mix with a wooden spoon or wire whisk, but don’t overbeat — it’s kind of like folding the flour into the liquid (hand mixing is preferred). The batter should have the consistency of heavy cream; a few little lumps are fine. If it’s considerably heavier, add a bit more milk to lighten it. If using a popover or muffin pan that is old or in dubious condition, spray the bottom of each cup with cooking oil or baker’s spray or brush with butter or shortening. If using an unsullied nonstick pan, no spray is necessary. Once you mess up a batch though — or forget and spray the pan — you’ll always have to spray from then on. Fill each cup ⅔ full with batter. Place pan on medium-high rack of preheated oven. Leave at 450 degrees for 20 minutes, then turn setting down to 350 and bake for another 18–20 minutes. Don’t open door during this process! Remove pan from oven and let cool before removing the popovers. Popover batter can be made a day ahead and then stored in the fridge — just take it out to warm to room temperature before baking. See more from our June 2016 Acadia 100 celebration! 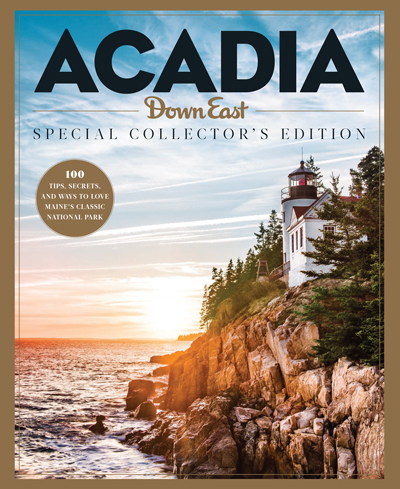 Get our latest Acadia Wall Calendar, a great take-home souvenir for travelers venturing to Acadia this summer and those who just appreciate the beauty of the region.